The financial costs of flooding in Canada’s maritime region could spike by 300 per cent by the end of the century if steps are not taken to address the impacts of climate change. A study done by researchers at the University of Waterloo looked at the Halifax, Nova Scotia area, a region hard hit by recent riverine flooding. 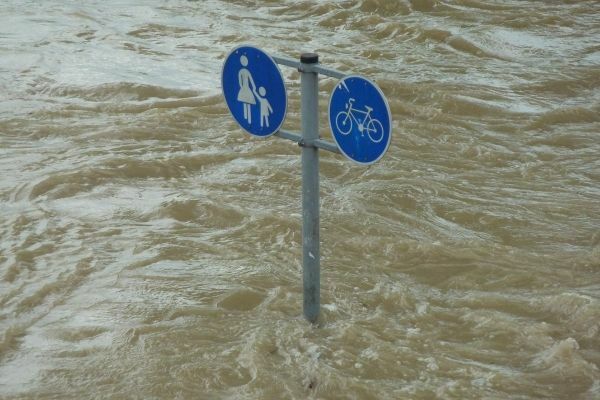 The team, made up economists, geographers and political scientists, merged data on flood probability, climate change and financial payout information from the insurance/re-insurance market and used the information to develop a forecast. The research team ran models for two different climate change scenarios and found a significant difference between best and worst-case climate scenarios. If no action is taken to stall climate change (4 °C rise in global temperatures) Halifax area could incur $67 million in damages in the event of a severe flood. If temperature rise can be limited to 2 °C, damages would be $10 million for the same event.